Made in very high quality leather. Zip fastening with leather press studded flap. Five external pockets - one zipped. Drawstring detail along the bottom. 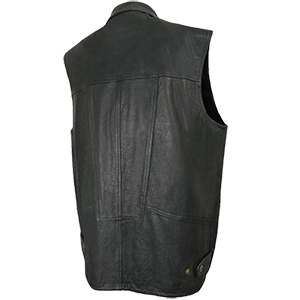 A great sleeveless jacket that has many uses. 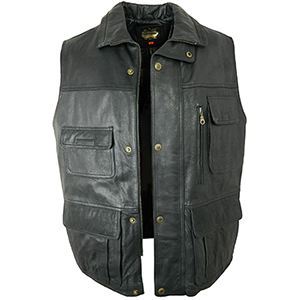 Ideal for fishing, shooting etc. or general wear.